The last space shuttle: Atlantis awaits its final launch. 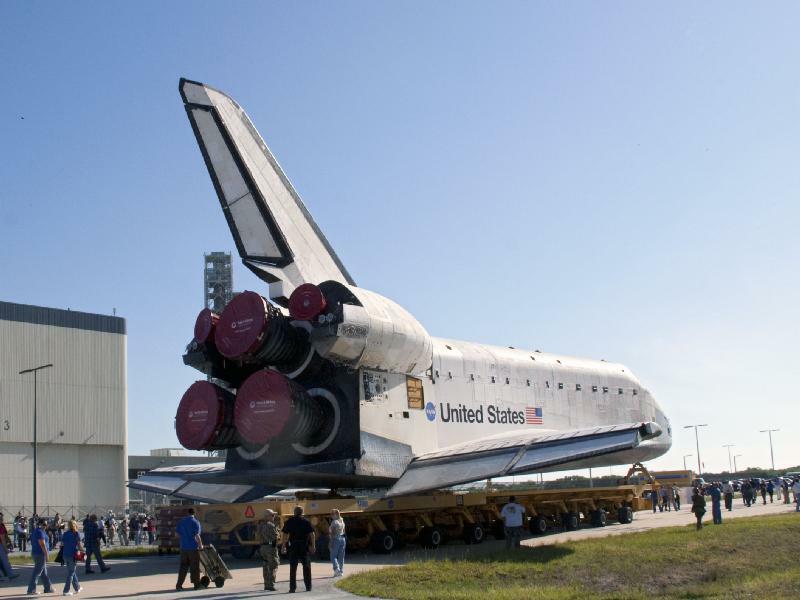 On July 8, less than a month from now, the last remaining space shuttle is slated to launch from Cape Canaveral. 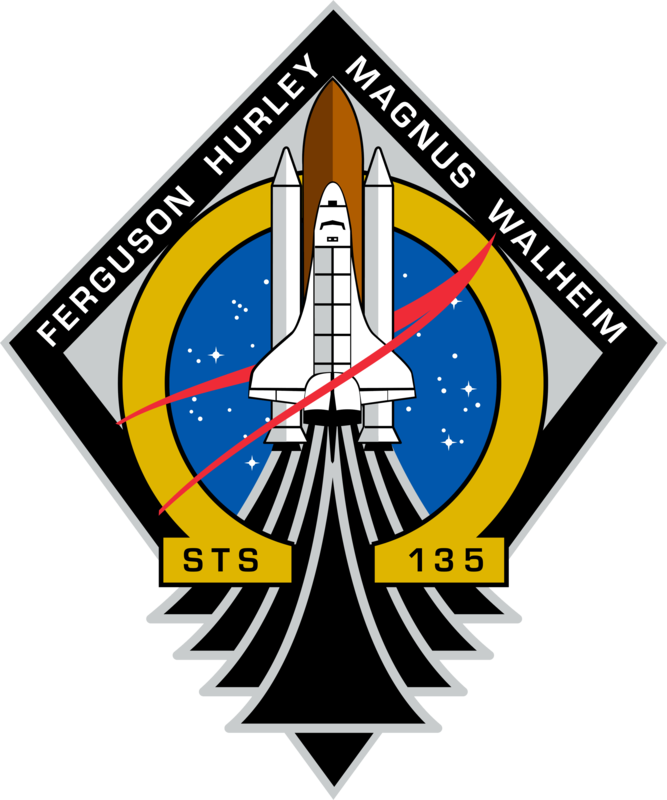 The STS-135 mission will bring supplies and parts up to the International Space Station and will be the historic conclusion of the 30-year-long shuttle program. Unless otherwise rescheduled, at 11:40am on Friday, July 8, the big clock will count down, the rocket boosters will ignite, the steam will billow and the shuttle Atlantis will roar into the sky for one final, glorious time. Through a surprising and serendipitous stroke of sheer luck I was selected to participate in NASA’s Tweetup event at the final launch. And luck it was, since not only was the selection process entirely random (as I’m told) and there were over 5400 applicants, but also due to the delay of the STS-134 launch last month the launch of Atlantis was pushed forward to a time when I was going to be on Florida’s east coast anyway, attending a meeting for work! Now it’s not like I travel often for my job, maybe twice a year, but this one time just so happened to coincide with the last launch. And I was going to be in Daytona – only about 40 minutes north of the Cape. While the prospect of witnessing a launch –for the first time, mind you – from the coast was more than I could have hoped for already, I figured I’d try to get into the Tweetup. A Tweetup, as you might guess, is a get-together of people who follow a topic or group on Twitter. I just started using Twitter in earnest this year and have found it a great tool for keeping up with astronomy and science news, not to mention following some very interesting people. NASA sponsors Tweetups often at several of their locations around the country, the highlight being the launch events. Participation is limited to about 150 people for those and it’s done by random selection of applicants. I had tried to get into the 134 launch event but didn’t make it – but this time I did. The email confirmation came last Friday, oddly enough to mixed emotions. I was stunned, but also concerned because, honestly, I didn’t know that I could get the time away from my work responsibilities to even attend the 2-day event. As it was I’d have to get to Florida a day early in order to check in at KSC on Thursday morning. But it would also mean I’d not be available for work on the Friday too. Since this is a once-a-year meeting event with representatives of our company attending from all over the country, it’s kind of a big deal. But… so is the final shuttle launch – ever. And so I made the plea to my manager, and he agreed to let me go. I’ll still be at my meeting for the Saturday and Sunday “main event” days, I’ll just be absent from some of the setup. Which is important but my workmate said he’d cover for me… thanks Patrick! I am sorry that I won’t be there to watch with him, since he was excited about it too (I had whined earlier about getting the hotels moved to be closer to the shore and thus able to see the noontime launch better from a distance – now I won’t have to worry about that!) but I’ll make it up to him. So it wasn’t until a few days later that the reality set in and I was able to actually enjoy the truth: I’m going to be one of the privileged few who get to witness the final shuttle launch from the closest spot available to the public. (An idea of this is illustrated perfectly here.) This is huge! Plus we’ll get a tour of the KSC facilities and the gigantic Vehicle Assembly Building, as well as hear from some notable NASA personalities and I’m sure some special guests as well, considering the historic nature of the event. And, of course, get to meet some fellow astro-nuts and make some friendships that I’m told last long after the launch plume has faded. Already groups have gathered online, on Twitter and Flickr and Facebook, where those who are part of the Tweetup and who have been part of past ones as well are able to share their plans, thoughts and excitement of what’s to come. Clearly some people are natural planners and leaders and others are happy to just bask in the glow of anticipation (I’m somewhere in the middle, myself) but all share the same basic emotion – sheer joy. Indeed, to get the email that said right in the subject line “NASA Tweetup CONFIRMATION” was nothing short of surreal! I certainly wasn’t expecting it (although of course I hoped it) – and most definitely not during my Friday burrito lunch. I’ll journal some of my thoughts – and those of the other attendees, at times – here in the weeks ahead leading up to the Tweetup, and of course I’m planning on taking plenty of photos at KSC during the event (my sincerest apologies if you’ve already seen oodles of Space Center/launch photos…I say a few more won’t hurt ya.) But I’m also going to try not to go overboard and leave room to actually enjoy the experience… I don’t want to be so stressed over f-stops and ISO that I miss the launch! I’d like to end this with a thank-you to NASA for holding these Tweetups and the team there for selecting me and assisting in the process since (thanks Stephanie! ), to my friends at Twitter for keeping me in the loop (especially Shannon @ageekmom who is the official “unofficial” coordinator of the Facebook group) and to my workmates and manager for letting me participate in this once-in-a-lifetime event and covering for me in my absence those couple of days (and to Lynn for graciously re-coordinating my flight and hotel!) And, of course, to my girlfriend Tracy for not being too jealous of this and putting up with my oozing obsession with NASA and astronomy to begin with. And please don’t forget to crash the Spacevidcast tent while you’re on-site. The best Tweetup group we had was STS-133 where they just ambushed us. It was awesome! STS-134 wasn’t bad, but STS-133 certainly had a lot more fun with it. Here’s hoping the STS-135 tweetup crowd blow them all away! You have every right to be excited. Watching a shuttle launch from the 3 mile marker is like nothing you have ever experienced before (note that I didn’t just say ‘seen’ but rather ‘experienced’). You’ll not only have a blast (pun intended) watching the shuttle, but they treat Tweeple like VIPs the whole time. Congrats and enjoy the final launch of Atlantis and the Space Shuttle! I’ll make sure to come find you guys!